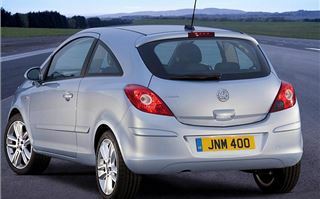 “Cmon.” The 2007 Vauxhall Corsa was pipped at the post by just two points for the coveted title of European Car of The Year 2007. 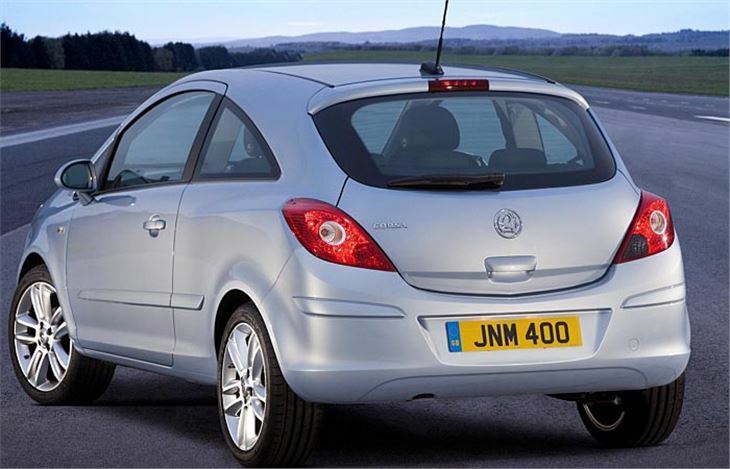 There’s no doubt that the new Corsa is well made. It feels strong and solid. The sort of small hatchback the Germans would build in Germany. 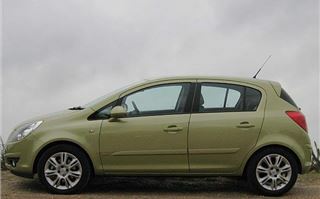 Though in fact it’s assembled in Zaragoza, Northern Spain, a few hundred kilometres from the VW Polo plant at Pamplona to the West and also few hundred from where they put the bitz of the SEAT Ibiza together, at Martorell to the East. Under the bonnet of the two cars I drove throbbed an engine hidden under a big plastic cover badged ‘Ecotec’, which is in fact the same excellent 1,248cc Multijet diesel as used in a multitude of FIATs. 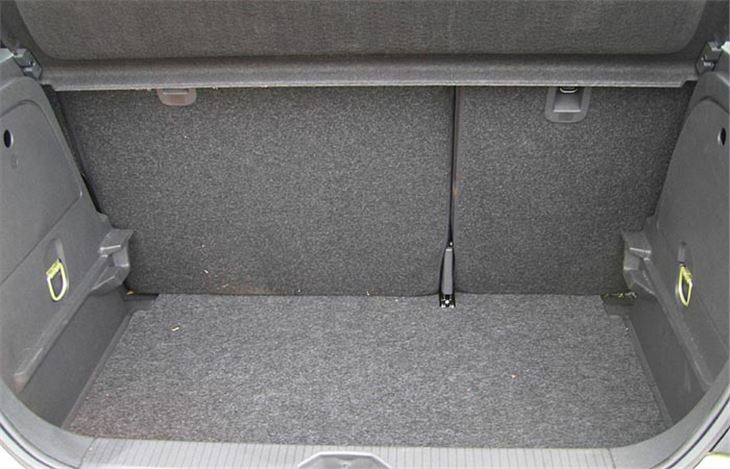 And underneath, of corsa, it’s the same basic structure as the FIAT Grande Punto. But compare the two side by side and they’re not really repanelled clones. Even the bulkhead structure is different. I did more than 500 miles in a specced up 90PS Design model 5 door with a list price of £13,247 (discounts to £10,954). 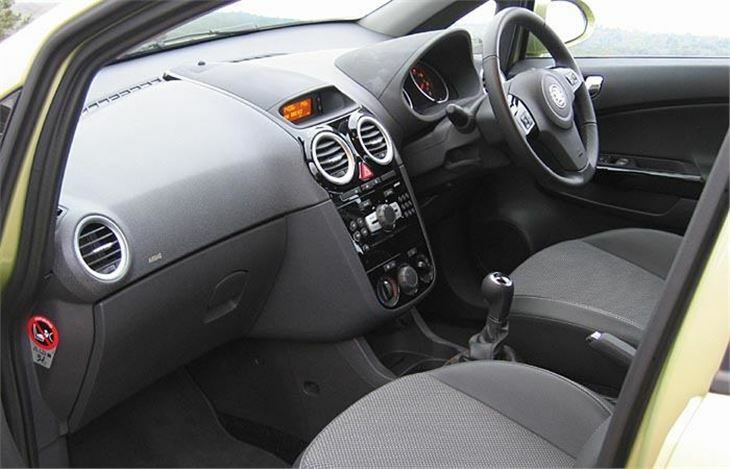 Then rather less distance in a 75PS 3-door Club with a/c, also with extras, that lists at £10,947 (discounts to £9,273). 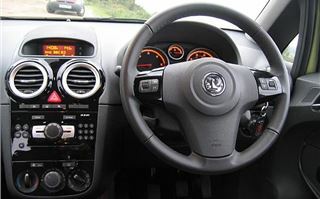 The dashboard and instruments are clearly and neatly laid out inside, but the top of the central section that extends to the dash top reflects in the steeply raked screen. Much more so in the Club where it is edged with a brushed alloy trim strip. And I liked some of the convenience features like the thumb-tab volume adjustment for the radio on the steering wheel. I’m only a short-legged 5’ 9” and I wasn’t very comfortable in the driving seat, being forced to sit with bent legs to get the height and reach adjustable steering wheel in the right place. 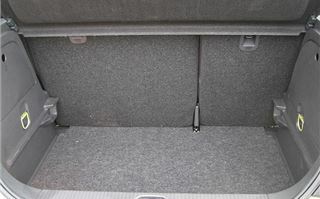 The rear seats have rake adjustment. The gearchange is good: 6 ratios with the 90 and 5 with the 75. But to perform the near miracle of hauling this 1,025kg – 1,244kg car along at motorway speeds you suffer an inevitable lack of torque at low revs when the turbo has spooled down. Not a disaster by any means, but it can catch you out occasionally accelerating out of roundabouts where you want enough torque to pull it through in 3rd but may be forced to use 2nd. However you forgive it when first fill it up. As long as the delivery driver and I both brimmed the tank the same, I got a staggering 57.72mpg, the best economy figure I have ever achieved in any car. Round the back, there’s a two-tier boot. A top floor, level with the sill, then a suitcase-sized, rectangular space underneath, and underneath that, joy of joys, a full-sized spare wheel. Push the car on corners and it grips and handles well. But the speed sensitive steering seems to have been designed for the generation who learned to drive on computer games. It’s certainly quick, and accurate, but alternates between light and not so light while any ‘road feel’ you get from it seems entirely fake. It’s almost as if someone’s hands clamp around the steering column to give the impression of weight. 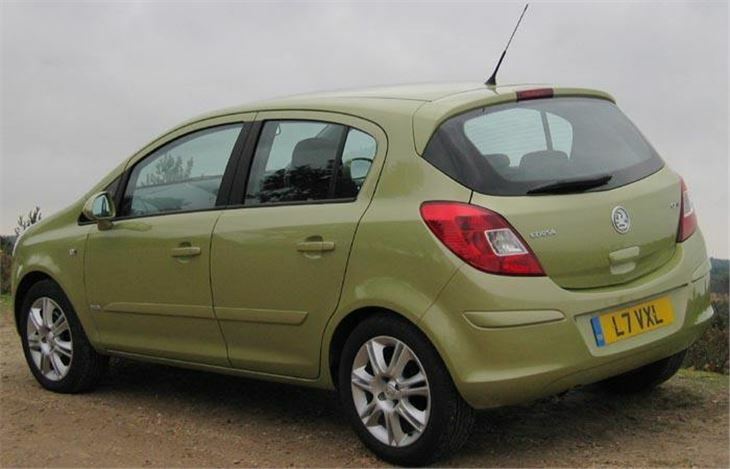 I actually preferred the slightly lower-spec Club 75bhp diesel. The 3 door is much more sporty looking, too. And it seemed to steer better with more ‘feel’ and less artificial stickiness. 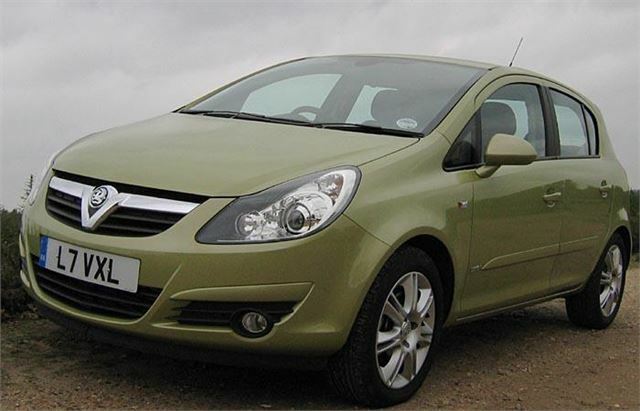 Ignore the list prices (which are calculated to be discounted) and the new Corsa is decent value for money. 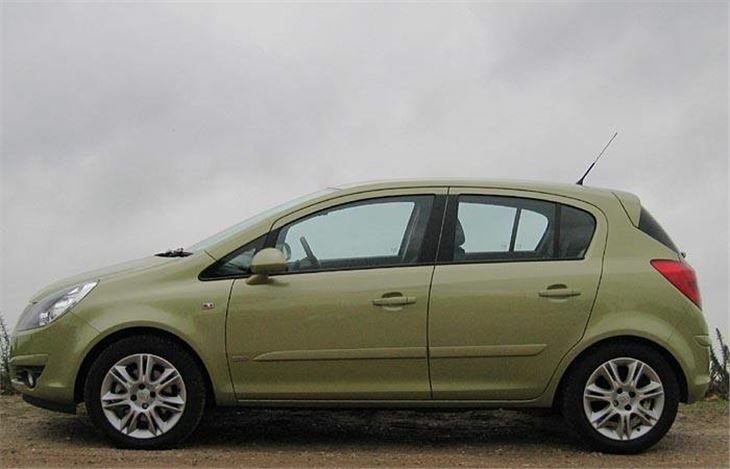 After all £9,273 isn’t much for a well-built, 60mpg diesel with plenty of street cred. And the £155 optional slide-out bicycle carrier is the neatest solution for carrying bikes on the back that I have ever seen.